The comfortable Rocking Club Chair has both rocking and swivel motion, thanks to a hidden mechanism in the sturdy base. The frame is a combination of extruded and hand-cast aluminum finished in warm charcoal. The back and seat cushions are covered in weather-resistant Sunbrella fabric. 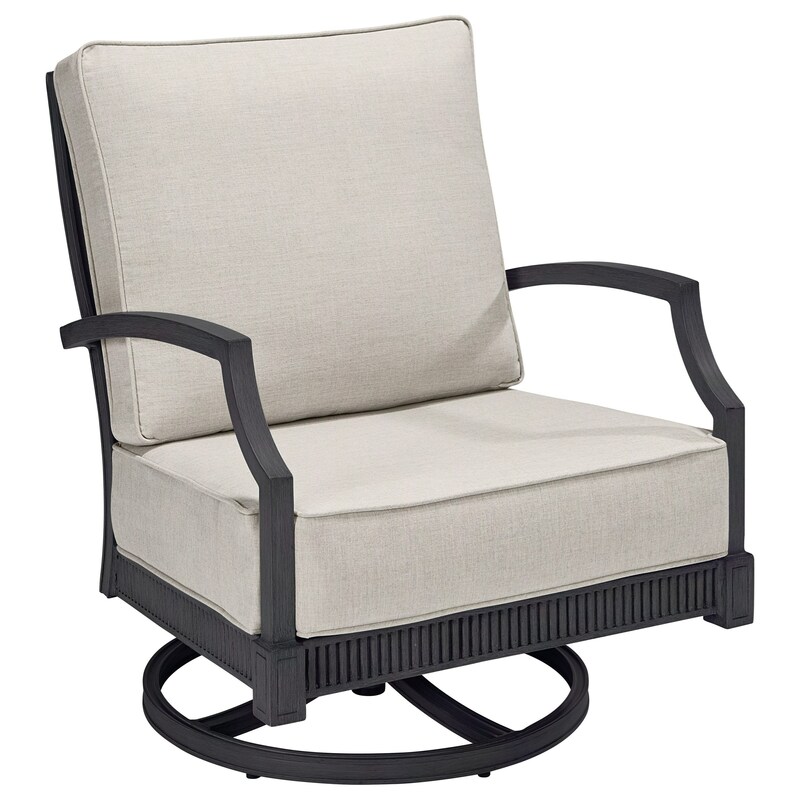 The Westlake Outdoor Swivel Rocker Club Chair at Reeds Furniture in the Los Angeles, Thousand Oaks, Simi Valley, Agoura Hills, Woodland Hills, California area. Product availability may vary. Contact us for the most current availability on this product. Browse other items in the Westlake Outdoor collection from Reeds Furniture in the Los Angeles, Thousand Oaks, Simi Valley, Agoura Hills, Woodland Hills, California area.